Kapamilya actress Judy Ann Santos-Agoncillo graces the cover Working Mom magazine September 2012 issue. 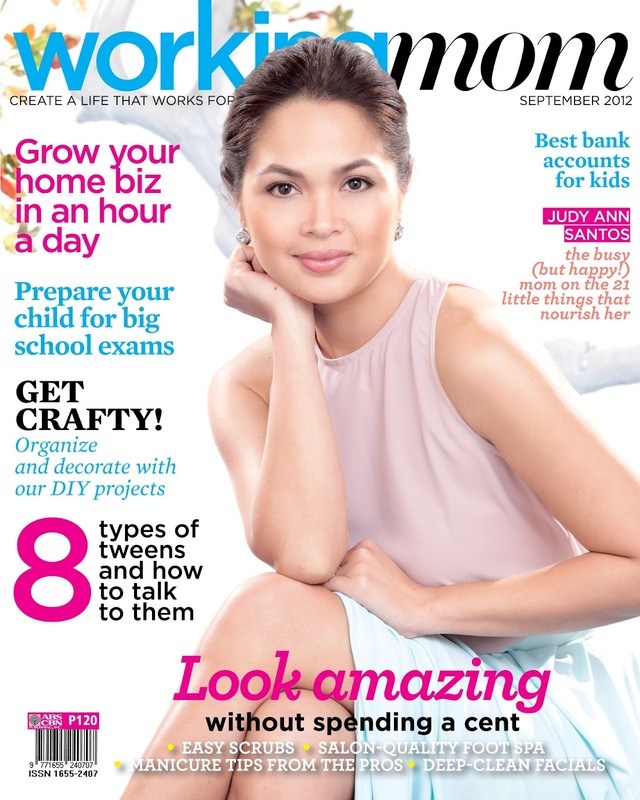 "Judy Ann Santos the busy (but happy) mom on the 21 little things that nourish her" is the cover story of this month's issue of Working Mom magazine. Features inside include tips on how to Look Amazing without spending a scent, how to grow home biz in an hour a day, how to prepare your child for big school exams, "Best Bank Accounts for Kids", "Get Crafty! Organize and decorate with our DIY projects", "8 types of tweens and how to talk them" and a lot more!